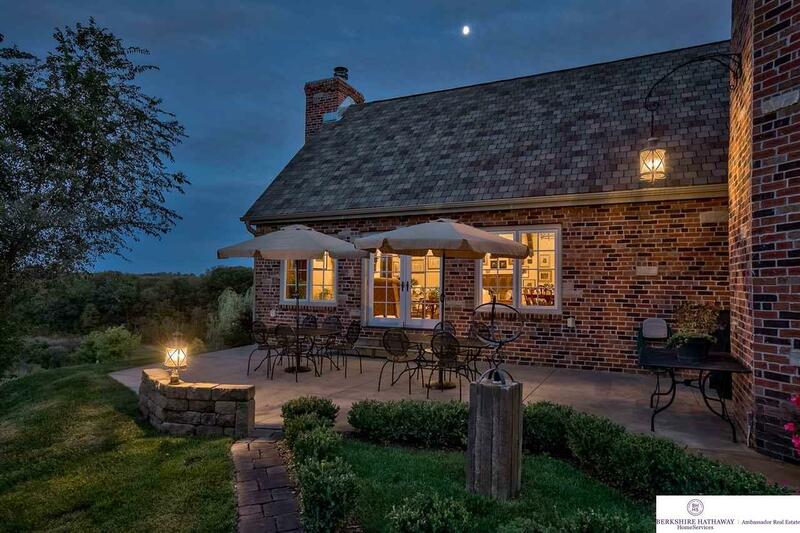 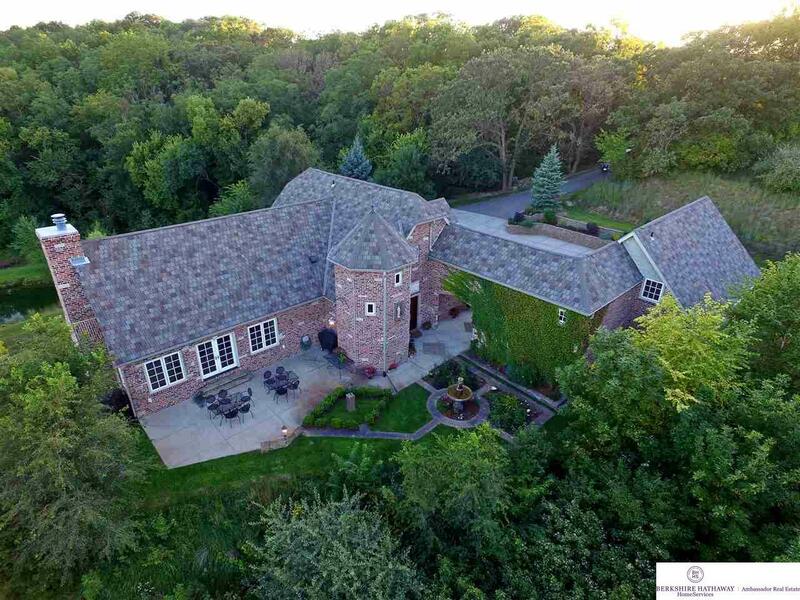 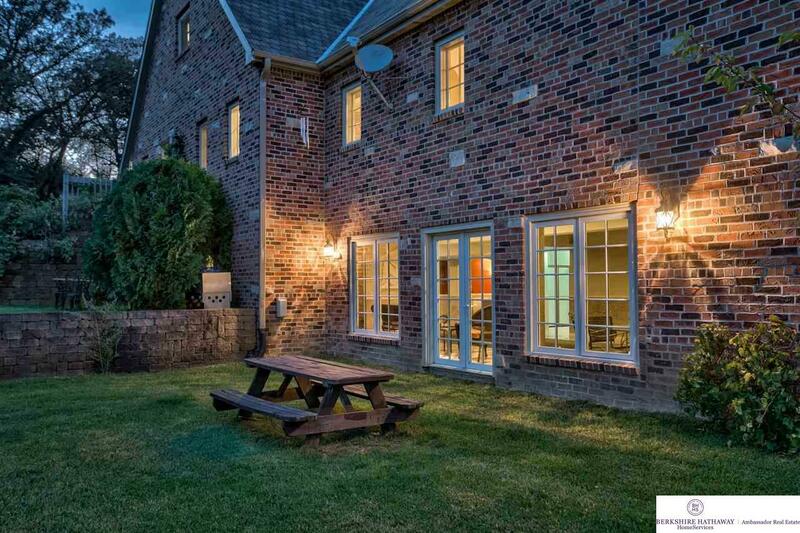 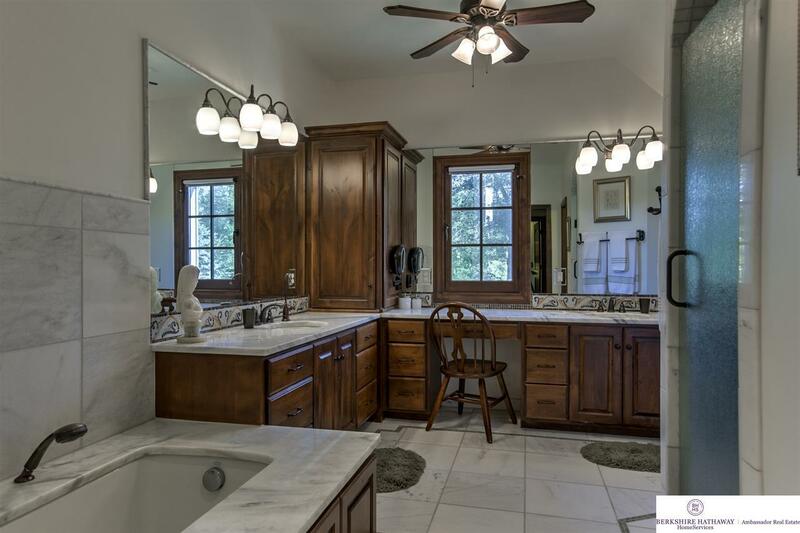 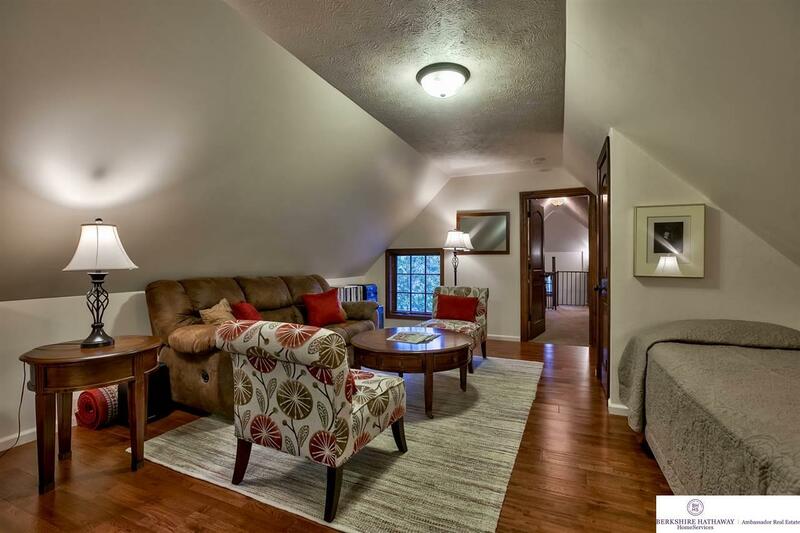 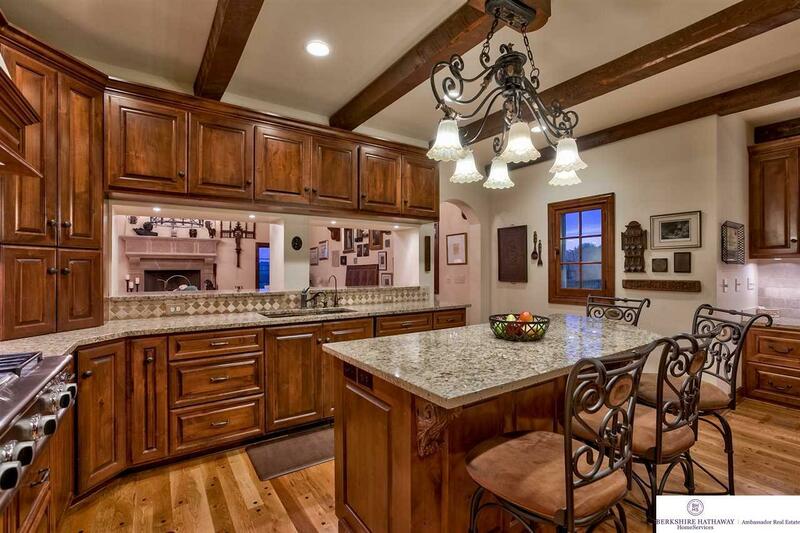 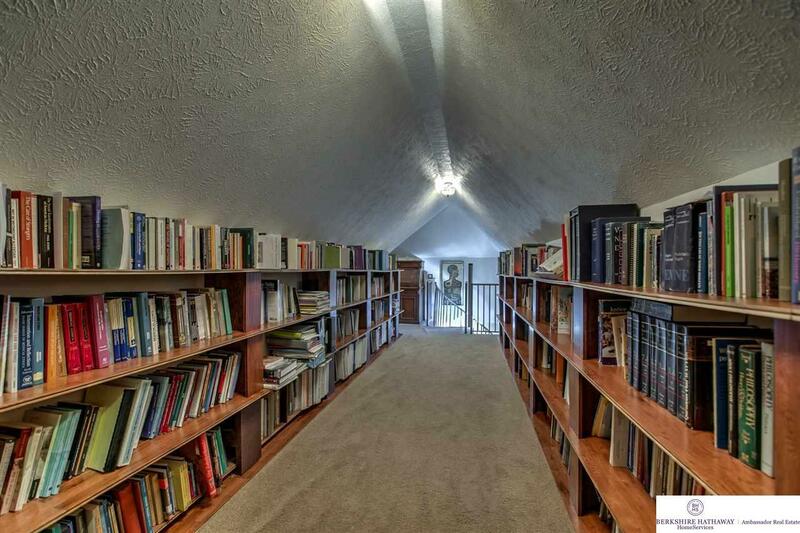 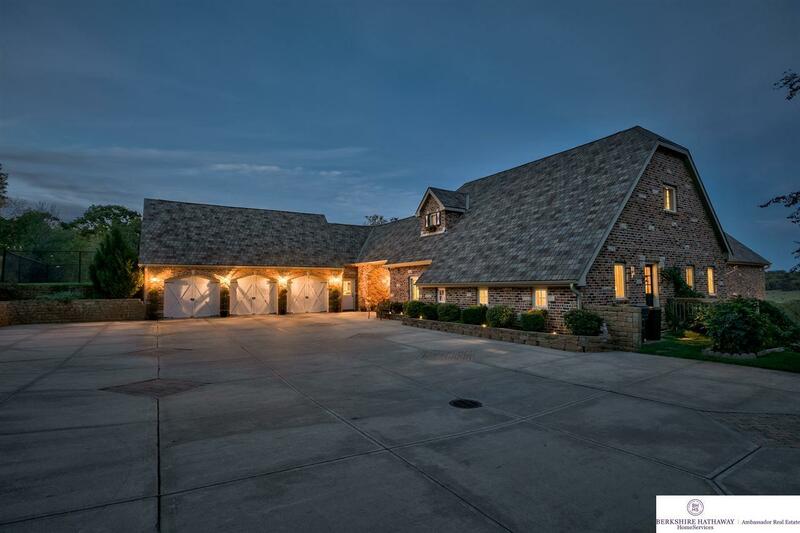 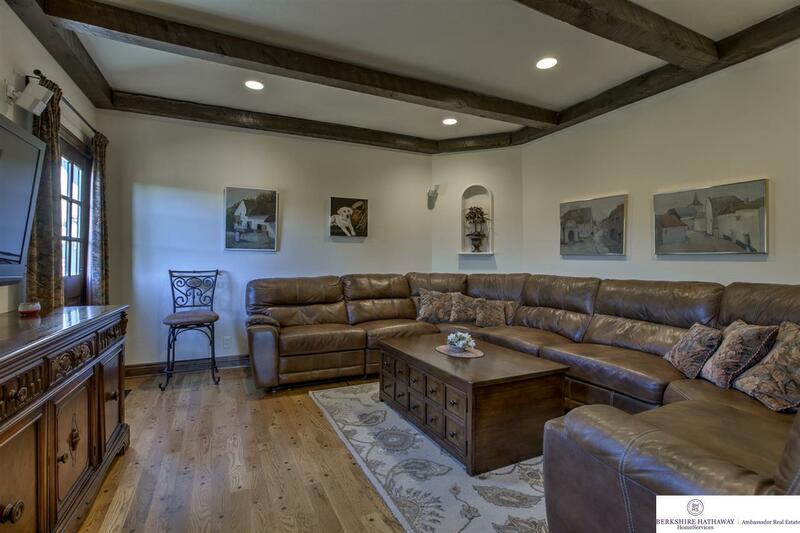 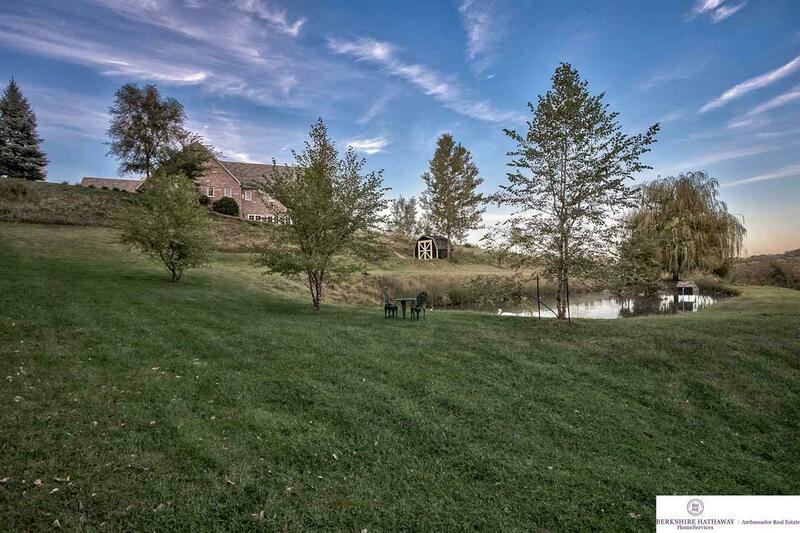 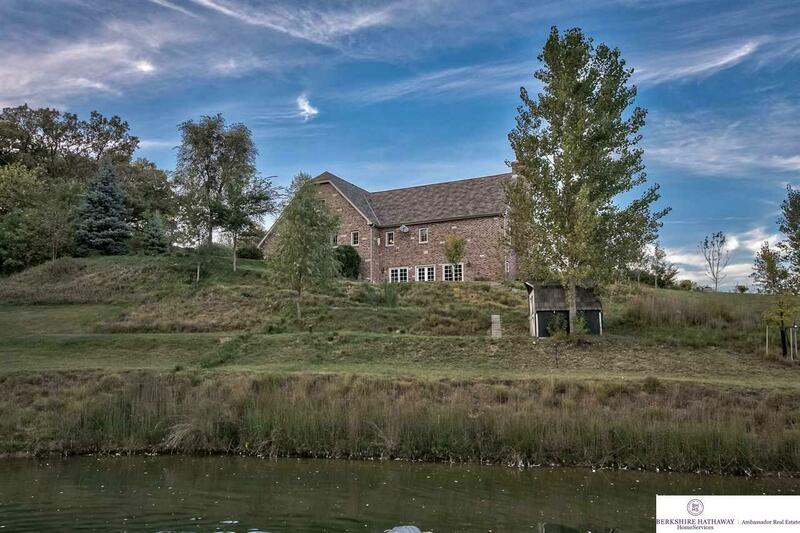 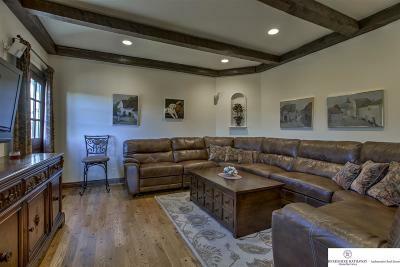 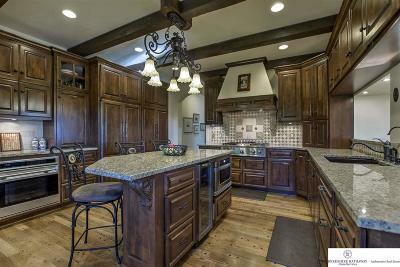 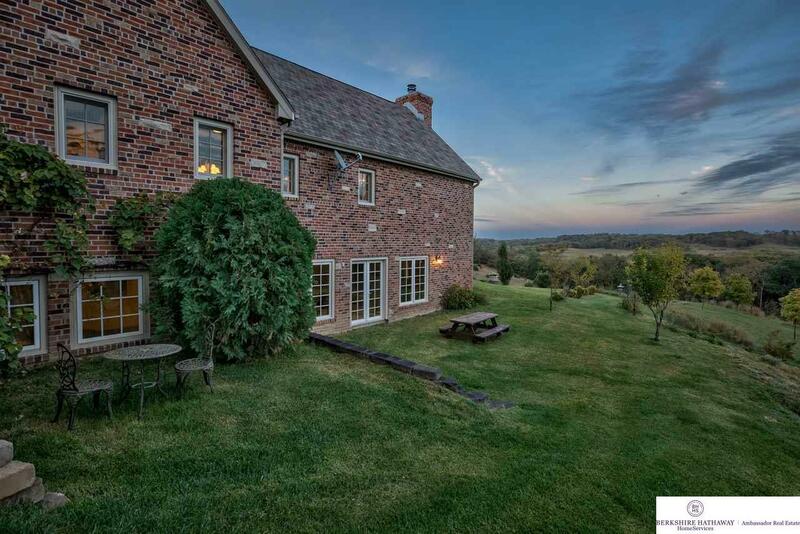 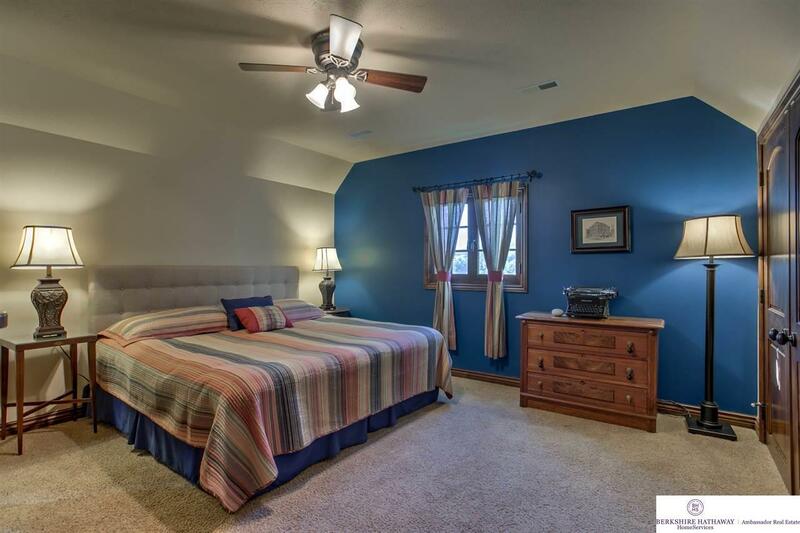 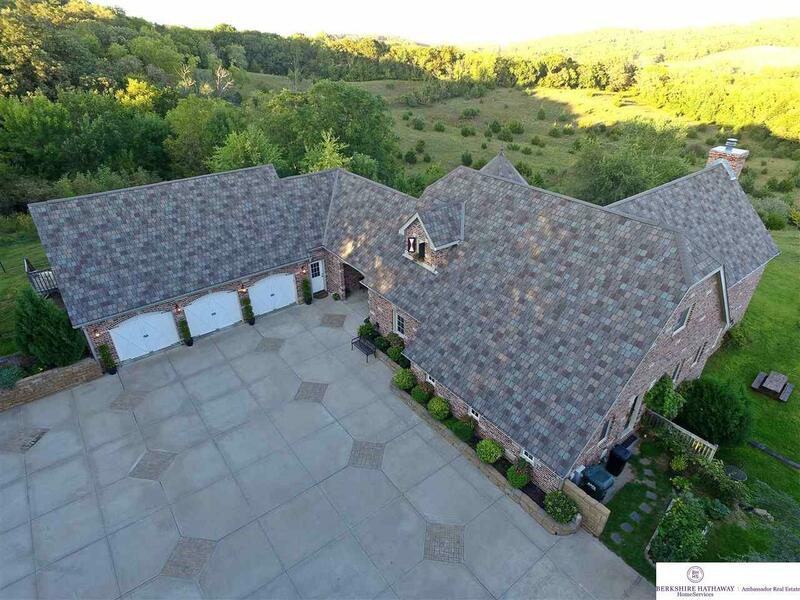 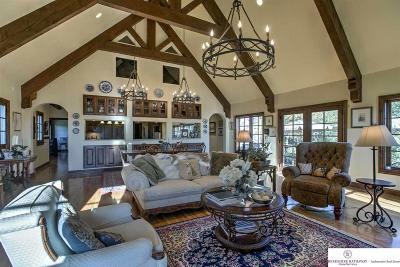 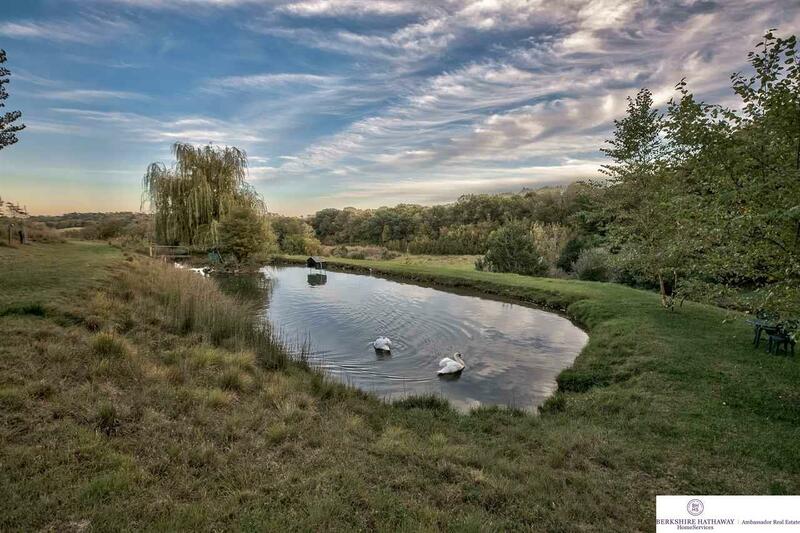 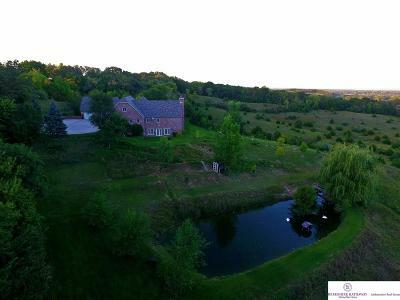 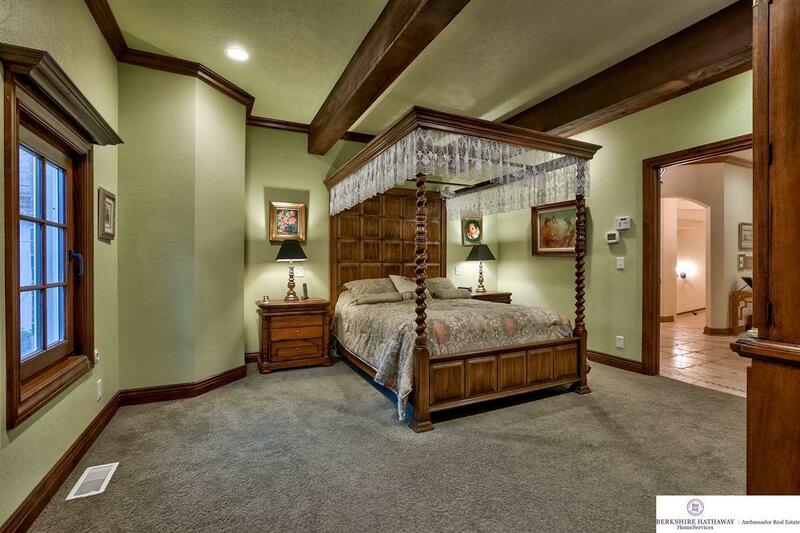 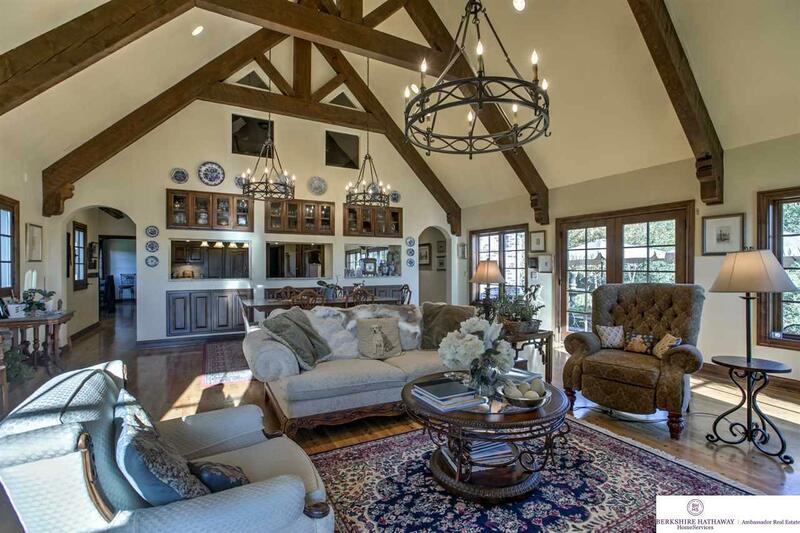 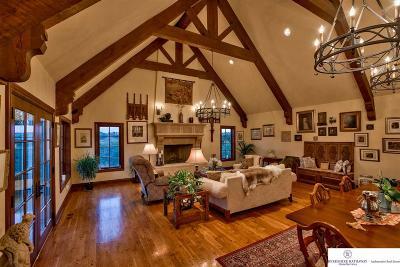 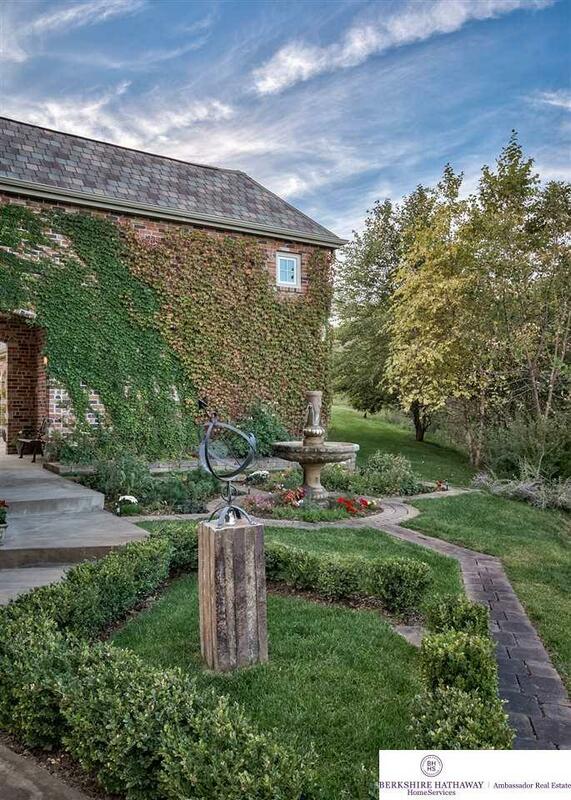 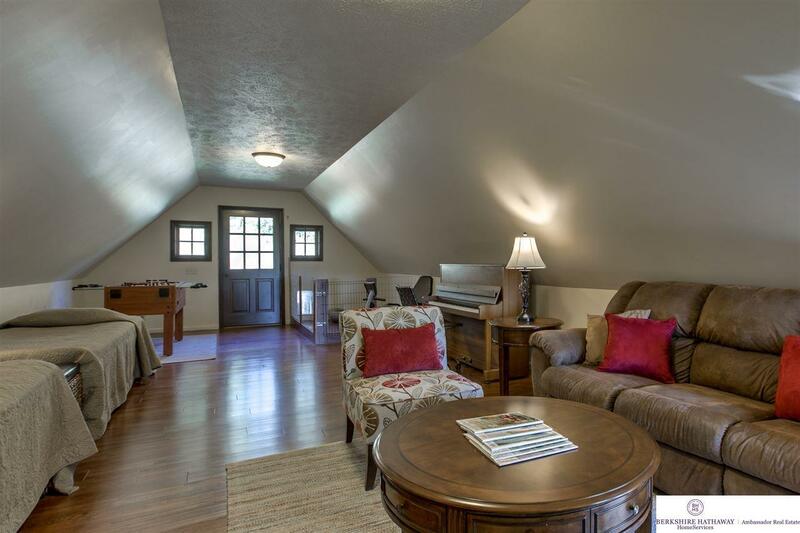 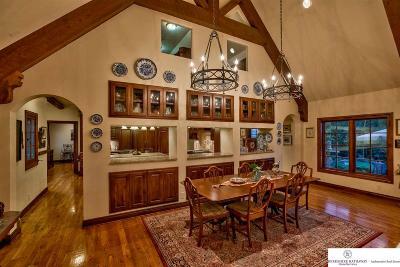 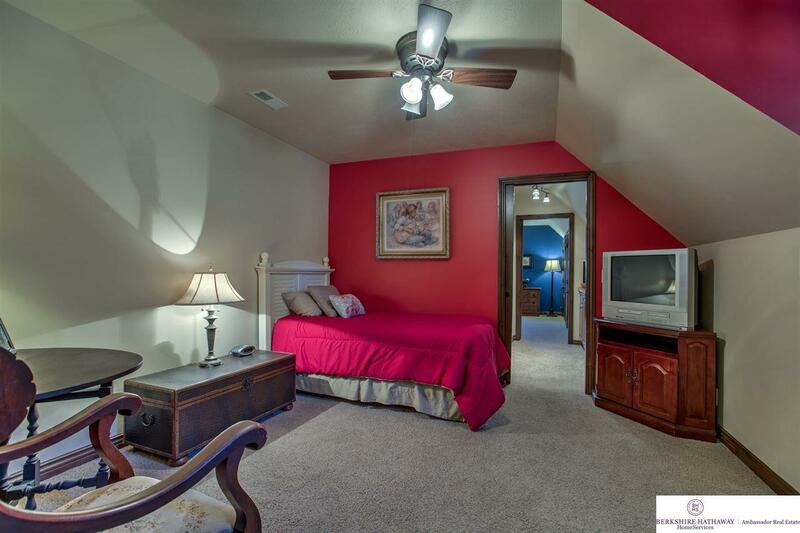 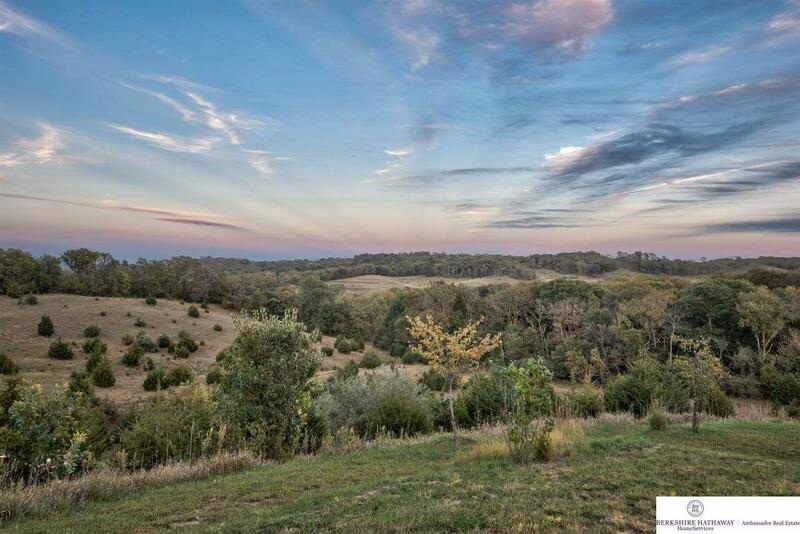 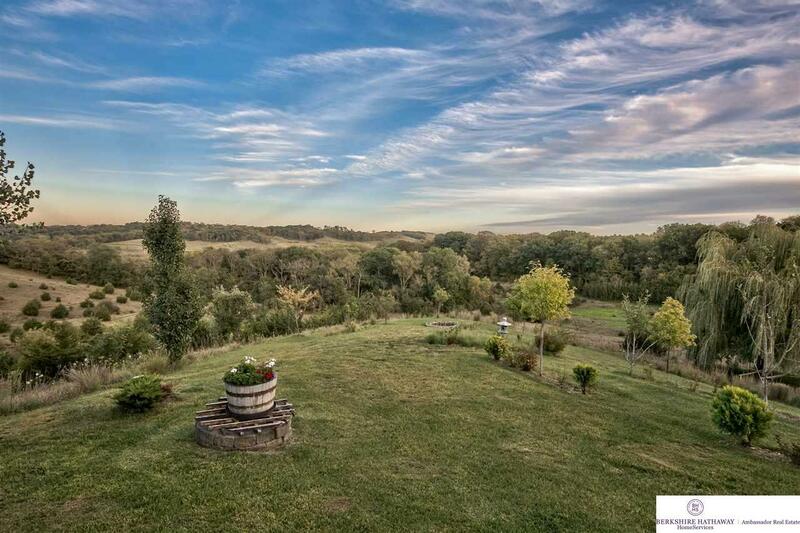 Northern-European style home on a 10+ acre wooded lot w/beautiful views over rolling hills. 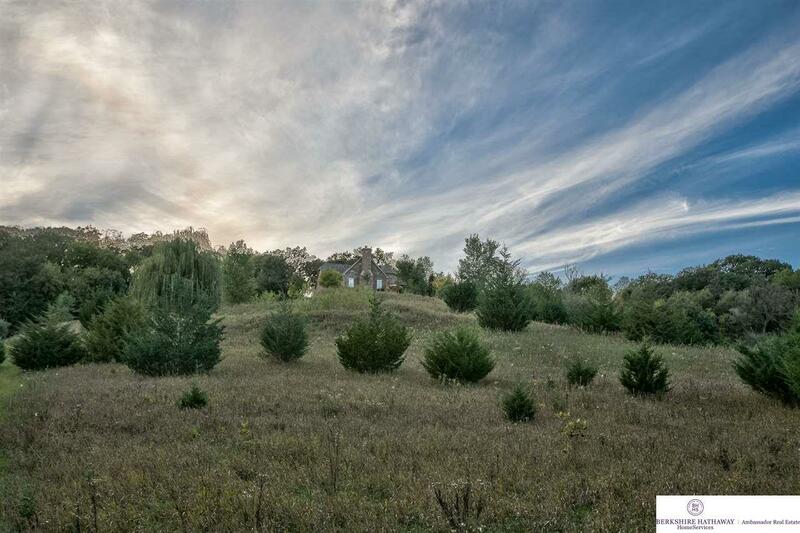 Completely secluded, yet only 30 Min. 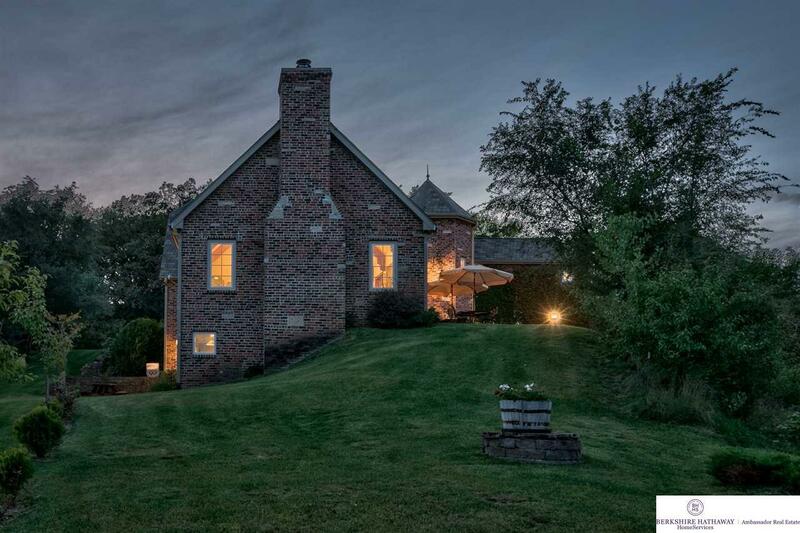 to downtown Omaha. 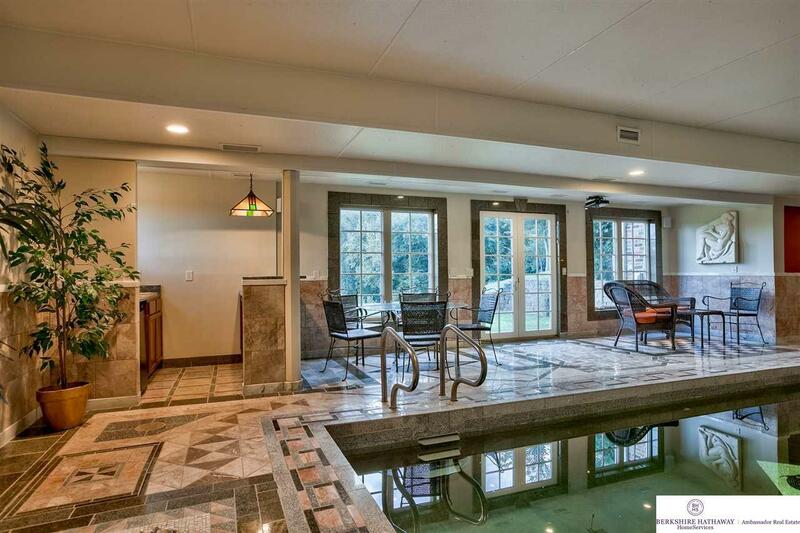 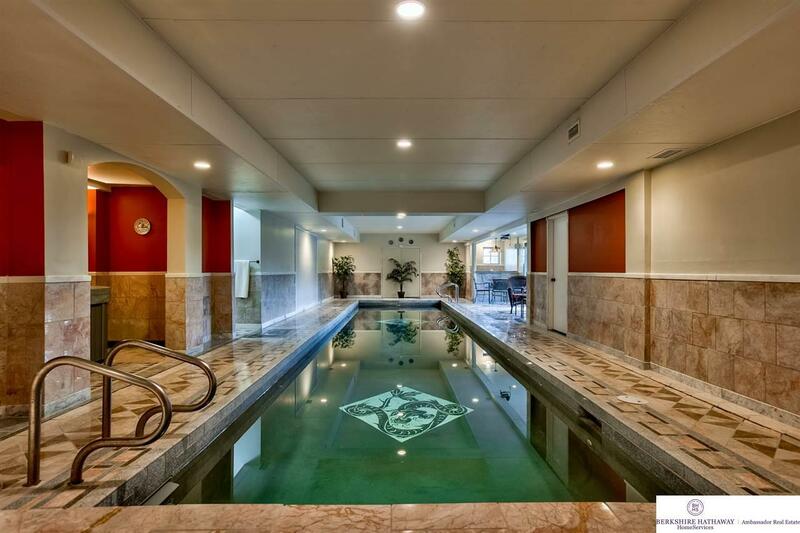 Perfect to showcase art, host parties, watch wildlife or enjoy a swim in the middle of winter in your indoor pool w/roman mosaics. 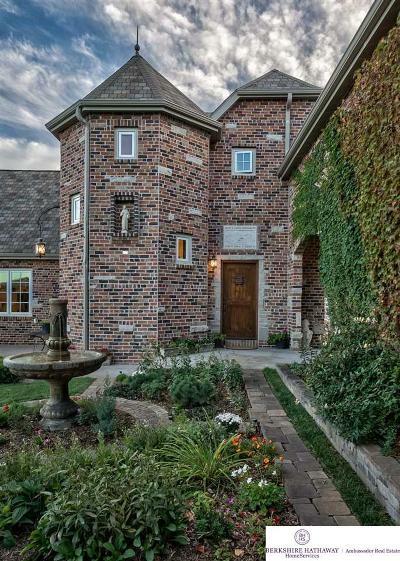 The brick & lime stone exterior, octagonal tower, archways & fountain give it the feel of a French countryside mansion. 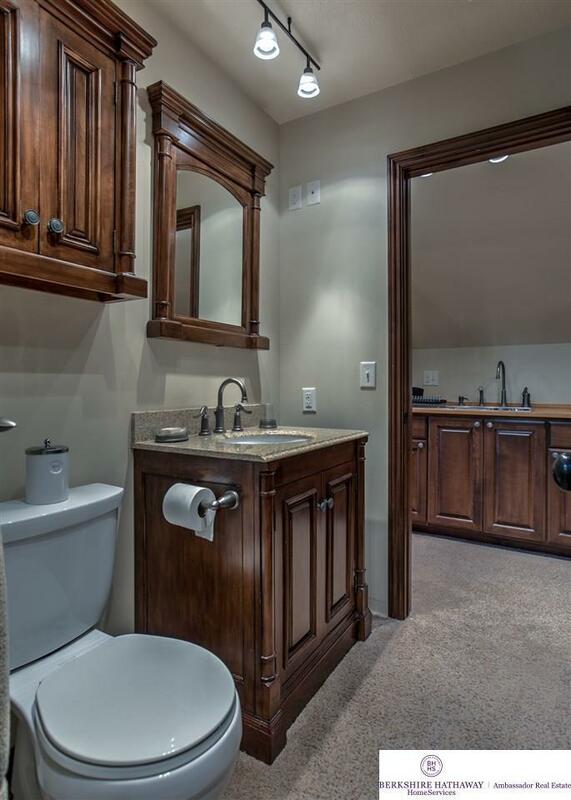 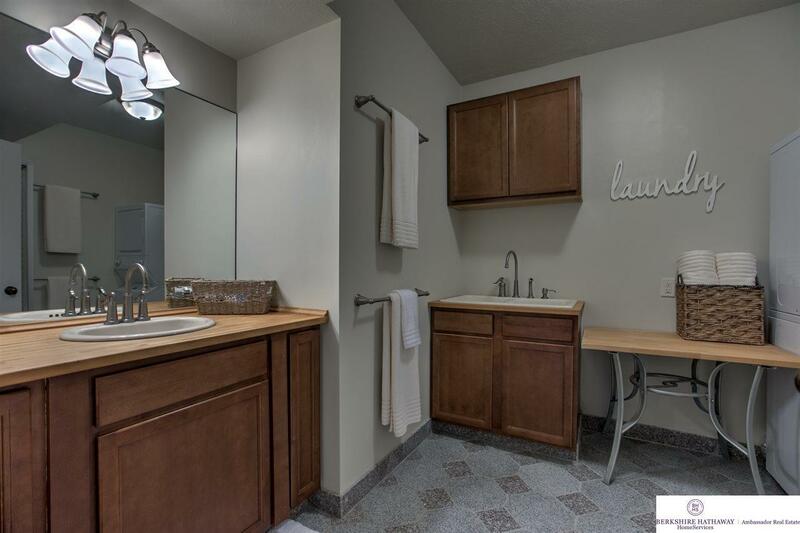 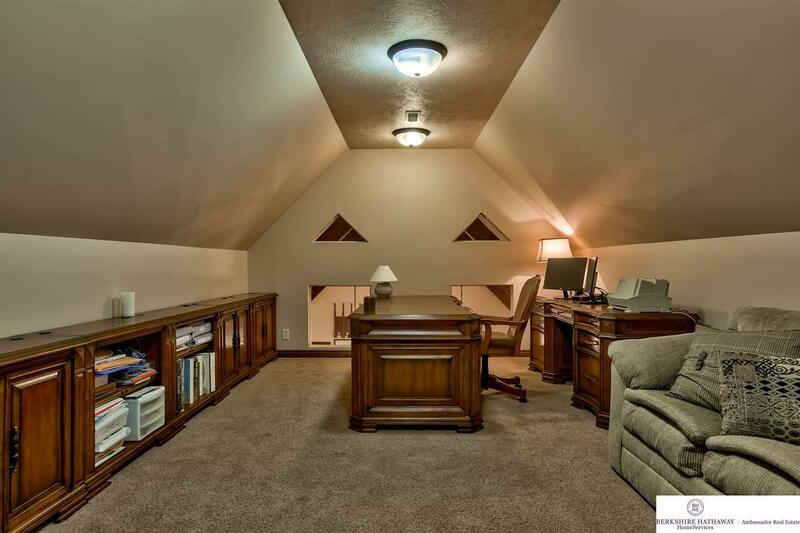 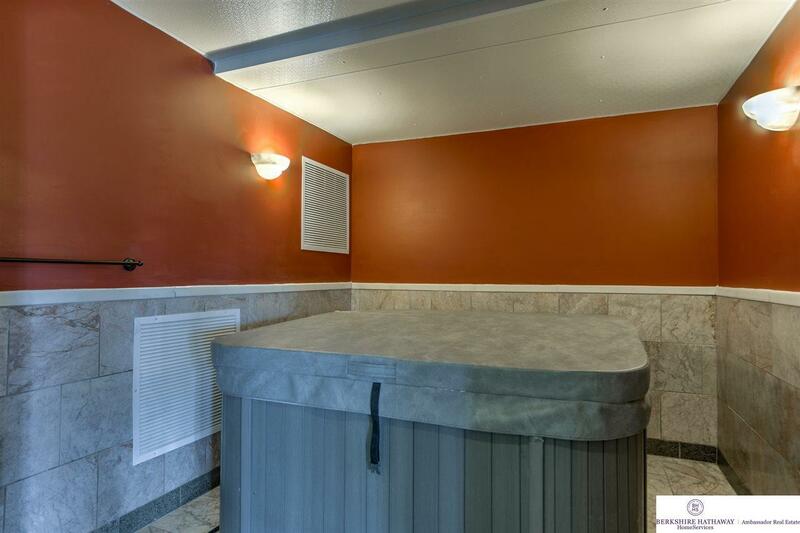 Great functional flexibility to fully outfitted in-law suite, ample office space and more!